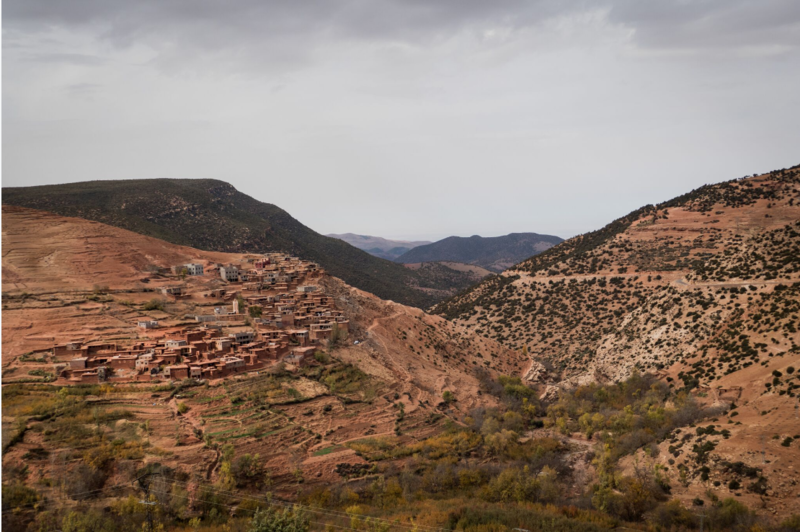 It is a different world, high up in the Atlas Mountains. Sharp inclines, barren peaks and jagged rocks make it seemingly inhospitable for anything to thrive. Yet, somehow: in the various sky-high canyons, you find thick forests and farms; Clinging onto the side of cliff faces, you find villages. On the broken up roads and by the streams, you find people. 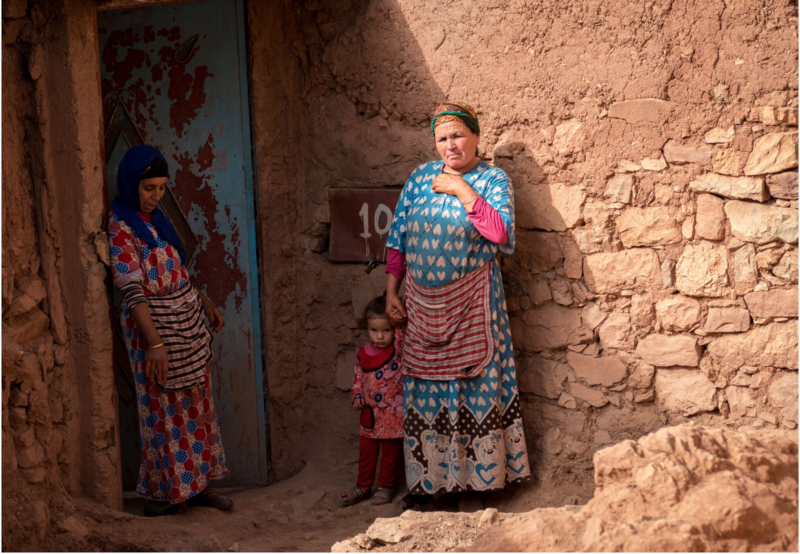 The Berbers (or Amazigh) – have lived here for over 12,000 years. It is a territory they have defended from countless attempted invasions, and a setting that they have adapted to live and thrive on. But being so far away from modern civilisation has its disadvantages. Access to electricity is considerably difficult, which, in turn reduces access to other modern amenities – healthcare, education and food storage etc. 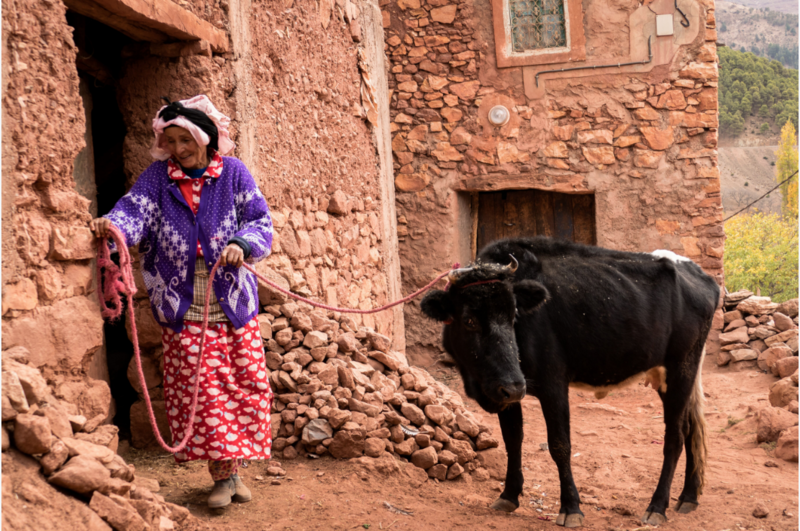 As the rest of the world has seemingly modernised, the Berber people in the mountains have clung to their ancient traditions. 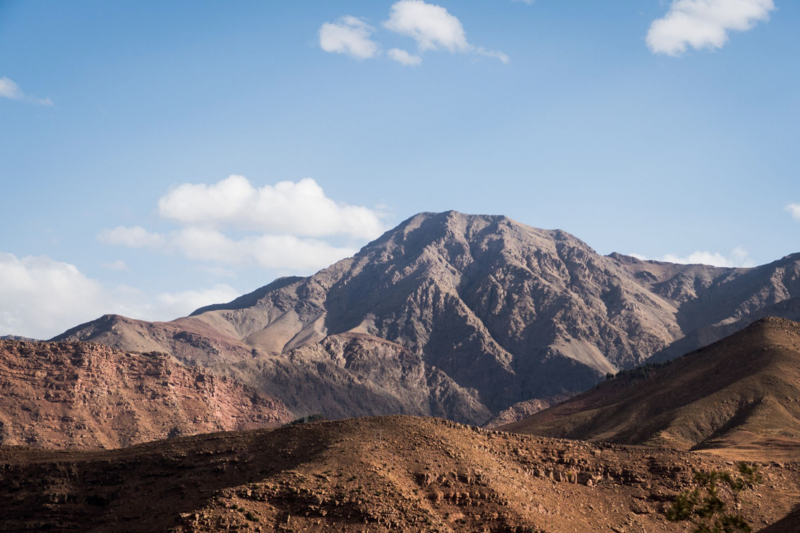 Travelling to the Atlas Mountains is no easy feat. On the way, the relatively safe road on which we were riding soon turned into an out-of-shape, barely passable one with a steep incline. Our driver, who had been chatting all the way to the base of the range, suddenly shifted his attention firmly to the road, avoiding the cracks and the edge. We were heading to Tadmamt, a small village perched on the side of a cliff just under 2,000 metres high. It had recently found a name for itself on the streets of Marrakech for championing a mosque construction that had transformed the village. We were there to find out how. Approaching the village, you could see the ancient design of housing. Seemingly built into the cliff with stone from the surrounding area, the dust-brown structures featured stair-like on the side of the cliff. They were simple in design, carved out windows and makeshift doors – flat rooftops where children played. Women walked the channel with livestock as they transported them back from the farm, a child was seen whipping a donkey and a horse stood on one roof. It was a place of its own. “Tadmamt is 1,500 years old,” an old man, who went by the name of Hassan, told us as we exited the car. He wore a tattered red jacket, and his face held deep wrinkles. In his hands, he carried a tray of Moroccan tea that he used to welcome us with. 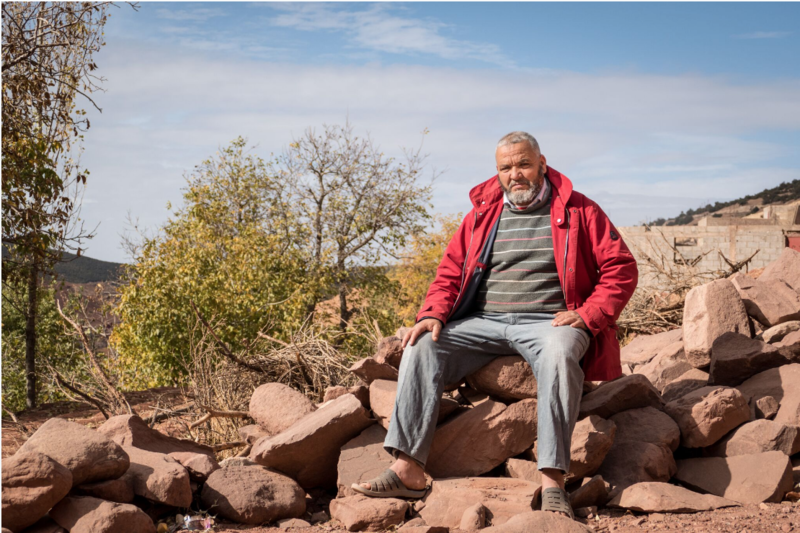 We sat on rocks as he told us more about the village, and then, about that mosque. He stopped and pointed towards a large tower that rose high above the village rooftops. It was the most modern building there by around 1,500 years. A grin appeared on his face. Before there was no hot water, now they could enjoy that luxury. They were entering the modern world. On the mosque’s roof you could make out rows of solar panels. The village had embraced renewable energy to solve their electricity problem. With the mosque construction, came the novel idea of getting a greater use out of it. Hassan pointed out the satellite aerials on each homes’ rooftop – modern technology perched on ancient architecture. Solar energy was supplying the village with electricity. 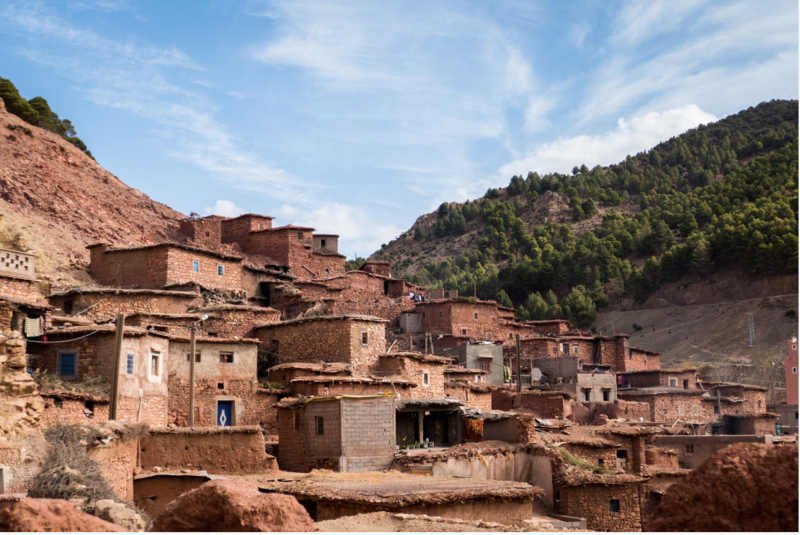 Tadmamt is the first village of its kind in the Atlas Mountains to have embraced this technology. Now streetlights keep the paths lit, and can be seen by neighbouring villages across the range. 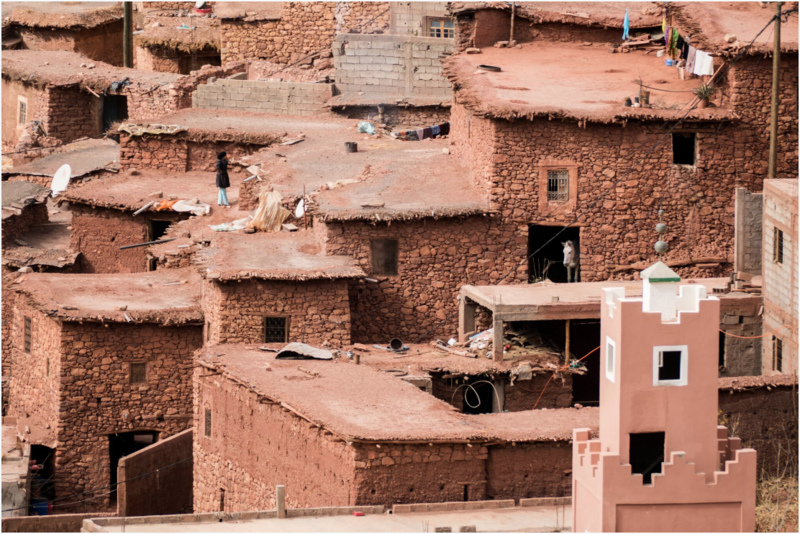 This project, funded by Morocco’s Green Mosque initiative, is part of a wider push to change the way the country consumes energy. Being a Muslim country, Morocco is taking advantage of its public spaces of worship to create energy. It is extremely effective in areas that receive a great deal of sunlight. This nationwide project has an ambitious aim to refurbish its 150,000 mosques with solar panels. The project’s goal is to use mosques as a starting point to raise awareness on clean energy and kickstart the diffusion of renewables among the public. 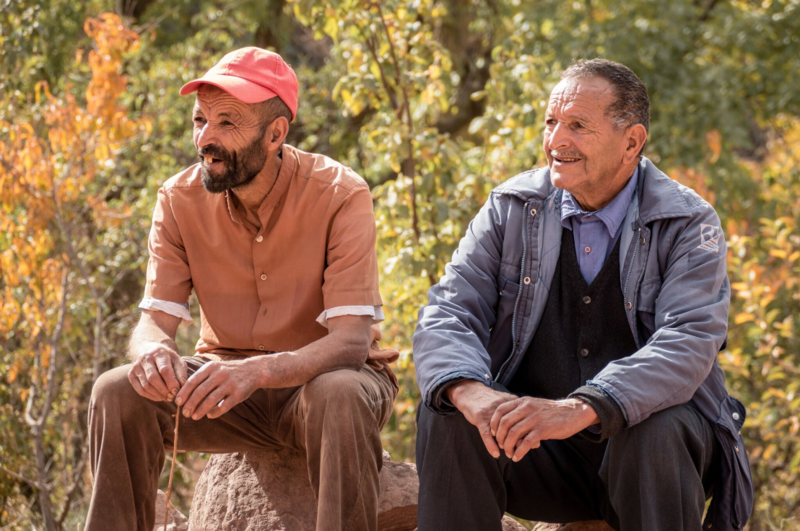 From the radical transformation of one village in the mountains, the project can use it as a case study of the effectiveness of the technology. From candles in the wind, to solar-powered street lights, not only has the village infrastructure of Tadmamt changed – but also its people. Though they still stick to traditional methods of farming and acquiring food, they now come home to catch the news.